When I created this work, I thought that once upon a time there might have been a Merman/Mermaid, and it could have been extinct by human beings, like those who destroyed the environment and created even toxic pollutants in the sea. I created this Merman to have a smiling face and give a hand signal that I love you because I want to convey to people that we should feel ashamed and stop polluting and back to help protect the environment. So we will be able to save life that still left in the world and that includes human beings like us. Sarapee is a self-taught artist, born in Bangkok and lives in the beachside town of Hua-Hin “Thailand”. Many years ago she became involved with the local art community and began to create her sculptures. 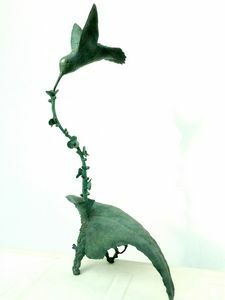 Her sculptures cast in Bronze, Brass with unique colors patina. 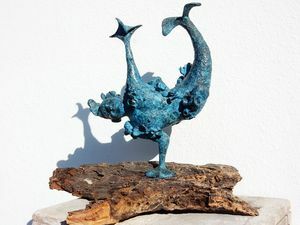 She created her sculptures from her imagination based on life, legend and story. 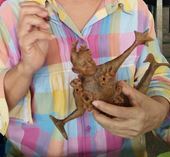 Her works can be found at Art De Ruen Sarapee Home Gallery in Hua-Hin and other art gallery in Thailand and abroad.